New Hampshire's best general contractor! 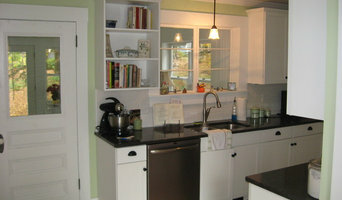 We work on a variety of projects specializing in Kitchen Remodels, Bathroom Remodels, Home Additions, etc. Give us a call to talk about your dream project! SSG Pools & Spas, Inc. Welcome to SSG Pools, we’re excited that you found us! Check out our previous projects and shoot us a message if anything peaks your interest. We build, renovate and service (maintain) pools in Massachusetts, New Hampshire, Maine, Connecticut, Rhode Island, and Vermont. In your search, you will find that most pool builders have a few major strengths and outsource the rest of the pieces of pool building. Not at SSG. We have spent the past 40 years recruiting top talent and investing in state-of-the-art machinery to become a complete pool builder. This way, we are able to control and be responsible for everything related to your pool. When you are ready to begin choosing design preferences, we offer a showroom in Amherst NH for our customers to touch and feel the actual materials that could be used in their swimming pool or spa. The showroom is staffed from Patriot’s Day through Labor Day but anyone who is interested in viewing can schedule a meeting by messaging us at any time. Looking to be creative? Our specialties include exotic pool features like infinity pools, tanning benches, lazy rivers, built-in water slides and grottoes - all engineered to withstand the harsh climate of New England. Ambrose Custom Builders is an Artisan building firm comprised of a husband and wife team who bring a passion for excellence to the design/build process. Managing a small number of projects at any given time, Chris stays intimately involved with all design and build elements of each project. Chris has been involved with building for over 30 years. First working as a carpenter during his school years, his love for design and building continued throughout his corporate career. Moves from Toronto, Ottawa, Montreal and Chicago with the company he worked for, provided Chris and Brigitte the opportunity to buy, renovate and sell homes. They completed 4 major renovations and one new build before forming Ambrose Custom Builders, in 2007. 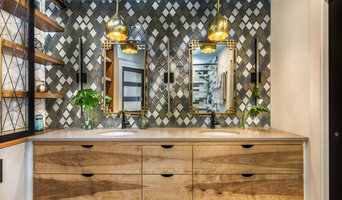 A Design graduate of College Francois-Xavier-Garneau in Quebec City, Brigitte quickly rose through the ranks of the design profession working with prestigious firms such as Epps Interiors, Atkinson McKee and Design Associates leading multi-million dollar award winning projects. The Ambrose focus is to create spaces that draw from the New England charm that people love, while adding openness to the design plans and a strong connection with the houses external environment. Particular attention is paid to solar orientation, and how natural light will positively influence a home throughout the seasons. Antique materials are often incorporated into their projects to add timeless beauty. All homes built are Energy Star rated and Chris is certified as a Green Building Professional through the National Association of Homebuilders. His projects follow many of the guidelines set forth in the National Green Standard. Ambrose Builders have garnished many awards from the homebuilders association of southern VT including best kitchen design; best house 2,000 to 3,000 sq ft; best house less than 3,000 sq ft, best renovation; environmental excellence; energy efficiency and best bathroom. They believe beautiful spaces do not necessarily have to be expensive, just well planned and executed using creativity to build a quality environment with character. Remodeler, custom homebuilder, custom cabinetry & millwork. With over 25 years of construction experience and over 900 very satisfied clients, we have enough experience to know that the right fit is key to a wonderful contractor/client relationship. Platt Builders has learned the importance of being able to control all aspects of your construction project to insure success. Our investment in core service offerings has resulted in our ability to provide our clients a seamless and trouble-free custom home building or remodeling experience. Every project will present unique challenges, oftentimes requiring quick decisions and actions on the builder's part to keep the project on schedule. Being able to control the variables and redirect the resources can make the difference in the ultimate outcome. Our ability to transform a residence allows us to bring joy and satisfaction into our clients’ daily living. Let us make the difference in your next project – and in your life. Call or email us today! Residential, Commercial & Landscape Architecture. Located in New London, NH & Meredith, NH, we are an award winning architectural design firm, we believe in a collaborative approach to every project. Our staff works collectively, bringing an array of personal strengths and professional experience, ensuring exceptional quality throughout the design process. All of our designs are unique, created to specifically integrate our client's programmatic requirement with their particular site, budget expectations, and aesthetics. Our expertise focuses on designs for high-end residential homes, commercial projects and landscape architecture for clients seeking a distinctive design. Our commitment is to artfully transform your vision into beautiful and timeless architectural designs. Our projects typically range in costs from one million dollars to ten million dollars and up. Please contact us for more information about our services. TIMBERPEG is a national timber frame company that designs and manufactures timberframe and post and beam homes and light commercial structures. Our designs focus on sustainable building and energy efficiency for timber frame homes. Timberpeg has an in-house design department, but we also work directly with architects to create custom projects. Timberpeg homes can range from traditional and classic to modern and contemporary. We also have representatives located in the following areas: Fairbanks, AK Jackson Gap, AL Searcy, AR Penn Valley, CA Rocklin, CA Rohnert Park, CA Glenwood Springs, CO Granby, CO Pagosa Springs, CO Woodland Park, CO Sherman, CT Sun Valley, ID Peru, IL Waterloo, IL Brownsburg, IN Becket, MA Cambridge, MA Lawrence, MA Lexington, MA North Dartmouth, MA Orleans, MA Southampton, MA Sutton, MA Bar Harbor, ME Cape Neddick, ME Carrabassett Valley, ME Rockport, ME Boyne City, MI Cedar, MI Dexter, MI Osakis, MN Wayzata, MN Asheville, NC Boone, NC Greensboro, NC Lincoln, NE Ashland, NH Chatham, NH Claremont, NH Deerfield, NH Hancock, NH New London, NH Peterborough, NH Red Bank, NJ Reno, NV Chestertown, NY Cortland, NY Delhi, NY East Herkimer, NY Hoosick Falls, NY Millbrook, NY Aurora, OH Cincinnati, OH Sand Springs, OK Bend, OR Medford, OR Mt. Hood, OR Bedminster, PA Cranberry Township, PA Lake Ariel, PA Philadelphia, PA Middletown, RI Charleston, SC Simpsonville, SC West Columbia, SC Loudon, TN Williamsport, TN Park City, UT Charlottesville, VA Lake Anna, VA Purcellville, VA Bondville, VT Fayston, VT Ludlow, VT South Hero, VT South Woodstock, VT West Danville, VT Olympia, WA Hayward, WI Mercer, WI Milwaukee, WI As you can see, we have representatives located across the country and you will find TIMBERPEG homes all over the nation, in Canada and even in Europe and Asia. As a design and build collaborative, we selectively choose only dependable, quality partners to work with us and bring your space to life. We believe that the best way to get the most for our Clients is by working with many great minds that can individually contribute to our Client's vision for the space. The true value of a design and build collaborative is found in the details that are specified upfront and planned for in advance. This enables us to scope to price - staying on budget while exceeding expectations, time and time again. We look forward to co-creating with you. Bringing Homes & People Together in the Lakes Region of New Hampshire. Since 1987, Davis Frame Company has been designing and crafting some of the finest high-performance homes. We are experienced in many different styles of building, including timber framing, panelized, and conventional building methods. Whatever you envision, we can create. Our project management team will lead you through the design process and help you select building materials for your weather tight shell package. Here at Davis Frame, we offer complete weather tight shell kits for your new home, whether you are looking to build a timber frame home, post and beam home, barn home or conventional panelized home. We have a home package to meet different styles and budgets. Our packages include the structural shell, as well as windows, doors, siding, roofing and trim. Reach out to multiple professionals — especially for larger projects — and don't settle for the first bid you hear. Comparing multiple Warner, NH professionals' bids and experiences can help you find the one that’s best for you. Ask a lot of questions now, so you won't have unexpected answers later. Find a home design professional: Narrow down your search by type of professional and location. Browse Warner, NH portfolio photos, read client reviews and contact each Warner, NH professional for more information. Check out the information in the specialised professional sections too for tips on how to hire the right professional in Warner for your project.